the Railway Touring Company slips into autumn on Sunday, October 7 with a trip to Matlock – having wrapped up its summer programme with trains to Plymouth and Par on September 2 and Swanage on September 13. ‘The Peak Forester’ starts from Norwich with ‘Black Five’ No. 45305 at its head, and calls at Wymondham, Attleborough, Thetford, Brandon and Peterborough. 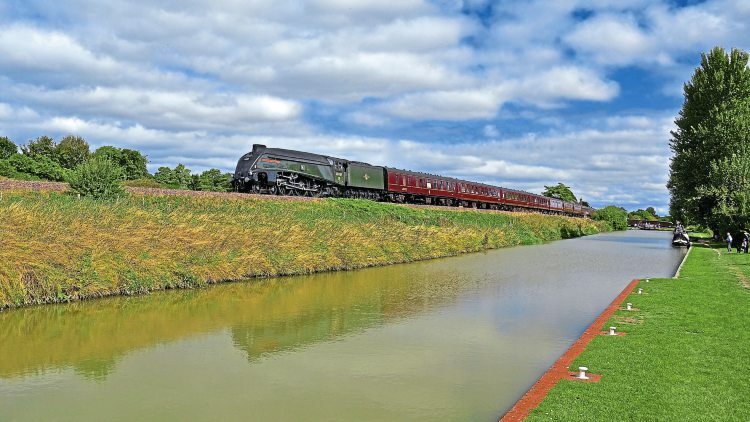 The 4-6-0 then joins the East Coast Main Line to Grantham and Lincolnshire and the Trent Valley. On arrival at Matlock, passengers have the option of travelling on through Darley Dale to Rowsley via Peak Rail. On Saturday, October 20, ‘The Yorkshireman’ departs Ealing Broadway and makes stops at St Albans, Luton, Bedford, Kettering and Melton Mowbray, before A4 No. 60009 Union of South Africa takes the former Midland Line through Corby then, crossing the Harringworth viaduct, heads onto Oakham, Melton Mowbray and eventually Doncaster for the East Coast Main Line to York.